Hi juice plus is not to be mistaken for a diet it is a healthy eating plan to cut out all the toxins from our body and feed it with foods that are easy to digest. The aim is to be healthy our body to function better and our organs and skin and energy to be in best form but as one of the benefits is you will lose weight because of the body working better. The only problem is that if you return to eating in your old patterns that caused the weight problems in the first place needless to say the weight will return. 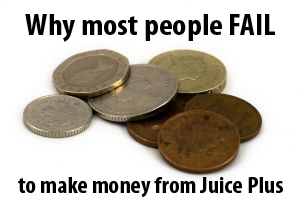 If you want to supplement healthy eating with our pure product that contains only pure fruit and veg you will see the benefits in healthier skin, hair, nails, body functions, energy etc etc but it is not a quick fix for weight loss and at 80p a day it is far better for you than a bag of crisps or a chocolate bar! !